It’s hard to believe that we are nearing the 5-year anniversary of our Arch program. Looking back, we have accomplished so much from conducting actuarial studies / developing rates, drafting our policy form, developing our rating model, filing our rates, marketing the program, and developing relationships with our agents. Having said that, our work has just begun, and we are deeply committed to serving the design professional and contractors communities for the long haul! EXCESS LIMITS: Now available with Arch. We can write a full excess limit or a specific project excess limit over other carrier's primary policy. INCREASED UNDERWRITING AUTHORITY: This means faster turnaround for our agents! INCREASED LIMITS (above $5M): Limits are now available for select risks on a very conservative basis. CLAIMS HANDLING/CHOICE OF COUNSEL. 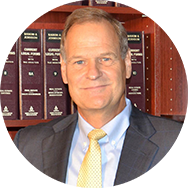 Arch handles claims in-house and their A&E claims department consists of five seasoned attorney. Further, we are very open to choice of counsel as long as the firm is qualified and their rates are within industry norm. RISK MANAGEMENT SERVICES. We pride ourselves on the value added risk management services available under our program and truly believe that our risk management differentiates us from our competitors - see the Risk Management Corner of this newsletter for full details. COVERAGE. 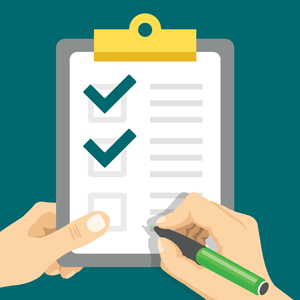 Our policy form is as broad as any form available in the marketplace! RESPONSIVENESS/EASE OF DOING BUSINESS/EXPERTISE. We provide best-in-class services to our agents - this is another key differentiator for us! HIGHER LIMITS AVAILABILITY. Limits are not a problem for us between the limits available under our program coupled with our various excess programs. In today’s soft marketplace, there is no shortage of markets, and agents and insureds have their choice of which markets they choose to work with. Whether or not that is true, most markets essentially claim their program is the best for the same reasons (i.e. strong paper, great service, broad policy form, etc.). When meeting with agents, I am often asked what differentiates us from our competitors. For us, the answer is easy: Kent Holland is our differentiator. Under our Arch program, we outsource our risk management services to Kent Holland and his firm, Construction Risk, LLC. This includes UNLIMITED CONTRACT REVIEWS, a 1-800 # hotline, and quarterly CE eligible webinars. Simply put, Kent is the best in the business and returns a red-lined contract with suggestions within 48 hours of receiving all contract review requests. In the article below, Design Professional’s Standard of Care: Keep it Based on Negligence, Kent writes about two distinct issues that are presented when a design professional (DP) is sued for negligent performance. The first issue is whether the design professional owed any duty of care to the claimant at all. If so, then the second question is whether its the design professional's obligation by performing its services consistent with the applicable professional standard of care. This one-hour webinar on Consents to Assignment, Certifications, and Reliance Letters is registered with the AIA for one CE credit hour. It is presented by Kent Holland or one of the other risk management consultants with ConstructionRisk, LLC. It addresses risk management issues and reviews redlined changes to the wording to track more closely with the underlying client contract responsibilities. Please click here to join us at 1:00 EST on December 5th! With the construction industry booming, many insureds are often required by contract to carry higher limits. While these requirements are often not practical, they are a reality that all insureds have to deal with no matter how small or large. Did you know PUA has two excess programs with Lloyds and Arch? We can write a full excess limits policy or limit the excess coverage to a specific project and/or client. As a rule of thumb, we generally charge $5K per $1M of full excess limits and $2,500 per $1M of specific project excess limits. Further, we understand that such requests often die on the vine once the project owners realize the costs associated with higher limits. We are happy to provide a very rough ball-park premium indication based off very basic information subject to full information being provided prior to binding. Account: $2.5M in billings. One claim in past 5 years (open w/$125K reserve). Bound with Lloyds (E&S). Policy: $2M/$2M limit, $25k deductible, $71K+ premium. Account: Approx. $2.2M in billings and school project types. 3 claims in past 5 years, all closed out with a total incurred of less than $10K on all claims. Bound with Arch (admitted). Policy: $2M limit, $25K retention w/ first dollar, $33K+ premium. Account: $84M in revenues and manufacturing/industrial project types. 1 prior claim in past 5 years with 0 incurred. Bound with Arch (E&S). Policy: $2M limit, $25K deductible, $47,268 premium. Account: $1.1M in billings and commercial project types. No prior claims. Bound with Arch. Policy: $2M limit + a $3M SPX, $5K retention w/first dollar, $30,091 premium. Account: $350K in billings and hospital project types. No prior claims. Bound with Arch (admitted). Policy: 2-yr policy for $1M, $2,500 retention w/first dollar, $4,500 annual premium. Send us a submission and become a success story! 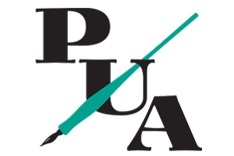 PUA is a managing general agency that specializes in professional liability for architects & engineers and contractors. Formed in 1990, the staff at PUA has over 100 years of industry experience and bring a wealth of knowledge and expertise to the table. PUA prides itself in providing exceptional and consistent services to the insurance marketplace in all 50 states. Access our applications or get a quote!